Given that the mothers generally organise children’s parties and know what everyone else has done, they also consider themselves experts at the job. In any case, it’s difficult for anyone organising a children’s party to be original, because by the age of 10 most children will have gone to at least 30 and possibly up to 100 parties, depending on how many children are in their class at school. 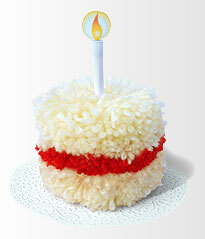 Of course doing a party on a tight budget is makes it even harder to do something original and memorable. . . ....but there will be many other types of places near you. There even are mobile kids’ party venues, such as fun busses that actually come to your house. If you have contact with the school, asking round the other mothers at the school will quickly uncover the latest popular theme or venue, and help you to avoid parties that are considered no good or ones that have been already done. Usually the venue will supply food (although in most cases it is pretty basic fare), and typically supply their standard invitations for you to fill out and send to your guests. However they are not likely to supply the birthday cake or the party bags, and you have to remember to take these important items with you. A venue organised party is great if you have a small flat, and as an added bonus, you don’t have to worry about organising every aspect of the activity. Generally, venue parties last about 2 hours, about half of which is taken up with the activity and the other half with eating the food. If you’re organised and a bit creative, throwing a kids party is not as hard as it first sounds. Of course, you could hire an entertainer (e.g. a magician), and then all you have to do is prepare the food and lay it out, and this is not difficult. However magicians can be expensive and the children at your kid’s party may well have seen the act before, which is great if they’re brilliant but not so good if they’re mediocre and the kids are likely to get bored.
. . . Organising the whole thing yourself is a really good option. As a dad, you can introduce no end of fun and originality in to the proceedings and give you child something really memorable. 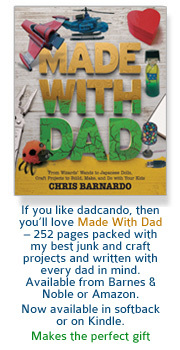 On dadcando.com you’ll find an essential guide and Party Planner which will make sure that you don’t forget anything and that the party runs smoothly. 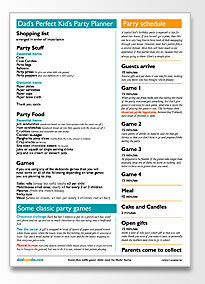 Also we have included some original party games to really make your party a special one for you and your child, regardless of whether you’re on a tight budget or not. 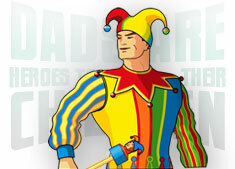 It is very important to note, that before organising your party and setting the date, you should ask some of the mothers of your kid’s friends at school if there are any other parties or other community events planned on the day you have in mind, such as a concert or special outing, because if your chosen date clashes with another event, your kid’s best friends may not be able come to the party. Even with all the modern technology that our children have in the way of mobile phones and console games, the kids party still holds a special place as one of the key social events in a child's annual calendar. A special treat, a chance to invite more than just one or two friends round to your house or on an outing, an opportunity to do something a bit out of the ordinary and a way of confirming friendships as you decide who to invite and who not to are all the things that a party holds in store for the average kid. Given they only come round once a year, you have a chance to think up something memorable, although this does not mean expensive. Getting some of your friends round to blow up a hundred or two hundred balloons, filling the house with them and then having the first game as a game to see how quickly the balloons can be burst, would not be expensive, but it certainly would be fun, and it's not something that your kid and his or her friends would forget in a hurry. 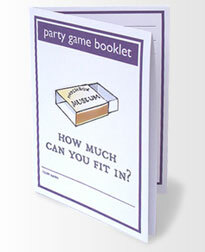 In this section you'll find an indispensable party planner and some original party games complete with special little party game booklets.